Hi guys. It's the start of another week in terrible cold weather in Jersey. We had snow on the weekend, so I was pretty much stuck at home doing a lot of nothing. It's almost March and I cannot believe the kind of weather we're still having to deal with. Mother nature you're drunk, go home and take the snow with you. Speaking of March, our next holiday is almost among us... St. Patrick's Day! Today I will be sharing a lovely duo inspired by the Irish holiday from MTL Creations. Let's take a look at the swatches. The St. Patty's Duo by MTL Creations will be available for purchase on February 26th. As always, this will be available for purchase as a duo or individually if preferred. Mark your calendars! Magically Mint is a shimmering light mint green polish. I'm not normally a huge fan of shimmer finishes, but this one is subtle enough that it meshes well. That said, I wish the shade looked better against my skin-tone because it's truly beautiful. Soft and perfect for Spring too. Formula and consistency work really well, applying smoothly for the most part. It's a bit sheer in a single coat, so you'll need at least three coats for a fully opaque finish. If you have any ridges, then I definitely suggest using a ridge-filler base. Otherwise, it will be noticeable with how fragile each of the layers wear on your nails. A nice glossy topcoat is also a must for giving it that smooth finishing touch. 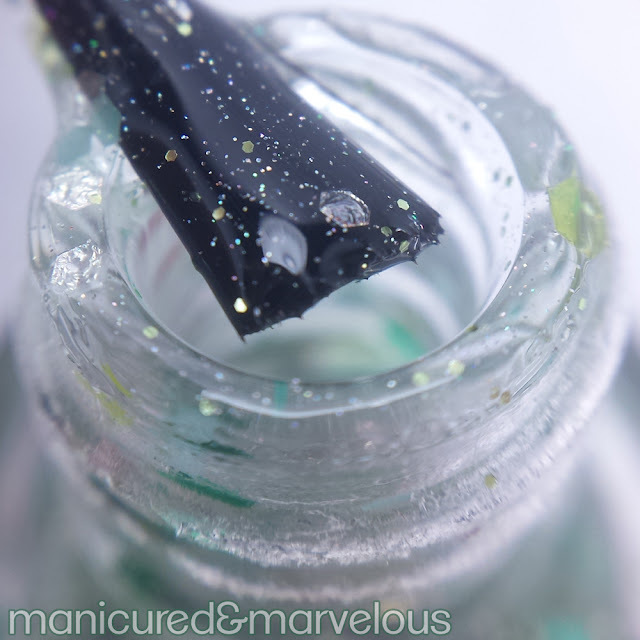 Floating Charms is a clear glitter topper filled with large black and green hexes, as well as small micro glitters. Of course, I had to pair it with the other polish in the duo! Together they are meant to be, if I do say so myself. The formula will require you to fish for the larger black glitters specifically. To compensate, Cherise will be offering a discount on this polish price. Personally, I didn't have to fish as much as I thought I was going to. I did have the bottle upside down for an hour before swatching to help with the sinking glitters. Overall I definitely enjoyed both of these beauties from the St. Patty's Duo by MTL Creations. 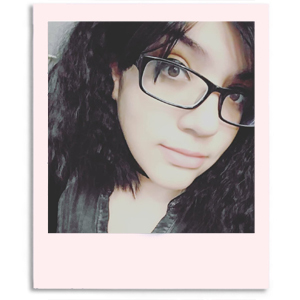 As I mentioned before, I do feel personally that the color doesn't suit my olive skin as much as I would like. Regardless, I think Magically Mint is definitely my pick from the duo. It's about those pastels for the Spring! Remember guys, the St. Patty's Duo by MTL Creations will be available for purchase on February 26th. So tell me guys, which one is your favorite? Are you into the light mint green? Oh this duo is really nice. Love your swatches! Pretty swatches. Lately, I've really loved mint green. I don't own many mint greens but I always feel like I should. These go very well together! Floating Charms is amazing! Magically Mint is my favorite as well. It's so soft and spring-like! If my daughter did not compete, she would have her mails painted for every holiday. That is a cool looking green! I do like the mint green but I prefer it with Floating Charms on top! Great combination for St. Patrick's day. Love this idea! I will have to refer to this with upcoming St. Pattys day! This is super cute for St. Patrick's Day...wow, I can't believe it's almost March! Your nails look so cute and spunky for St Patty's day. I love the color all by itself for me but the girls would look cute with them spiced up. I've got to get some. Love this. So pretty, great color for. ST Patty's for sure and love the spin on it! So great and festive! These are both really pretty! I would definitely wear these for St. Patty's Day! Magically Mint is the perfect way to describe that color. 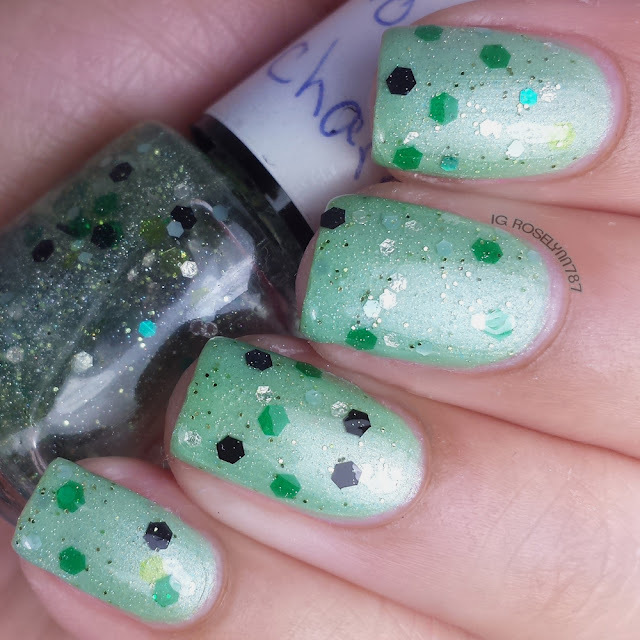 Those are such cute St. Patrick's Day style nails! what a stunning duo! I have never heard of this brand, but it looks like they need to be on my radar! Incredible looking nails. Love the design and the color. Absolutely beautiful. Magically Mint is so pretty! I'm a big fan of mint in general, and for a shimmery polish it's impressive to not be streaky/ brushstrokey! How pretty! Those go perfectly together! :) Definitely reminds me of spring - which is very much welcomed seeing as we have about a foot and a half of snow in our yard! Haha! I love St. Patty's Day because all the green polishes come out to play! LOVE! These look great - can't wait for St. Patty's day! Beautiful swatches! Love the combo. That glitter is so awesome! I love the colors too. Mint anything is the best! Magically mint for sure! I love a mint and a shimmery one is even better! That color green is absolutely gorgeous! I need to think about doing this next month. I keep forgetting St Patrick's day is soon, love the colour combo looks great. What a perfect color! I'm getting exited for St. Pattys Day! I love your nail creations, simple as that! This mint color is beautiful!!! I love how neat your nails look too! I love this color! It's so perfect for spring. Are these sold in normal stores? Might have to get the one! I'm usually not a huge fan of green, but that shade is so pretty. And I'm a sucker for glitters and shiny designs, so that second one is great. That brush shot is fab! Magically Mint is super pretty! *giggles* I think you meant sinking glitters instead of stinking ;-). Cute look! Gah X.X Thanks so much for the correction, I just fixed it. I'm so terrible at finding little spelling errors like that lol. I actually really like the shimmery mint! Love the shimmer finish on that green! Shimmer all the things! The decoration is nice but truth be told I like those without. That green is just too gorgeous for me to want to cover! This is such a cute look. I love to paint my nails. This is a great color for spring. Love how this is not only suitable for St. Paddy, but also for spring in general! Very pretty! Oh I love this. I am going to have to check for these nail polishes at my local stores. I do my nails for St. Patrick's Day, and pretty much all of March for Irish American Heritage Month. That mint color is gorgeous. I usually don't like shimmer much either but I need that color. That is so beautiful, the only problem is that i would pick it off to fast. That is amazing! I love your nails! 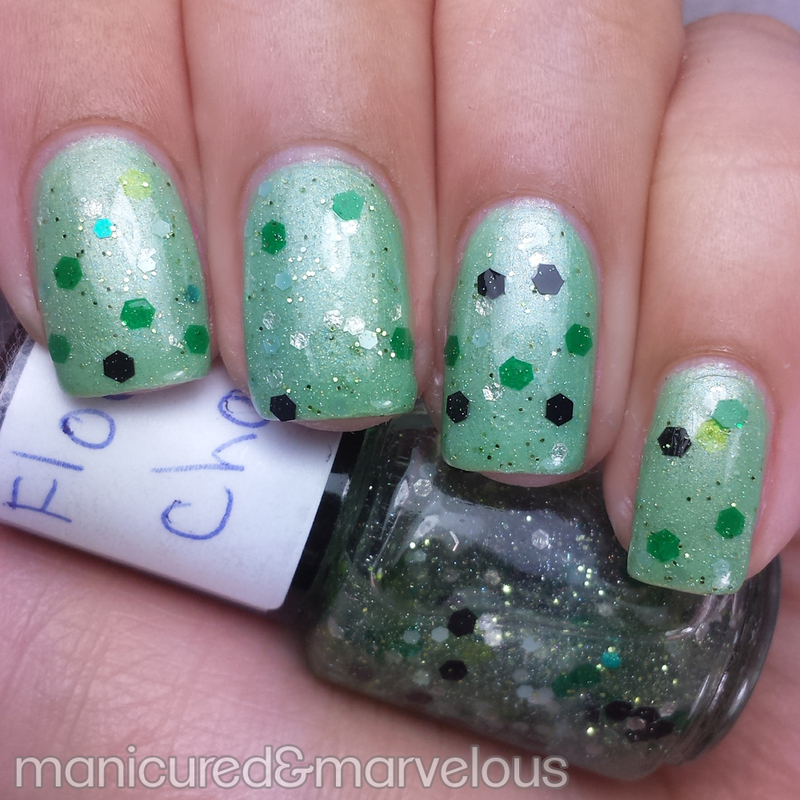 Magically Mint is gorgeous, love your swatch photos of it. I like floating charms but I cant decided if I really like the sparseness of the larger glitters or not. My mind is too tired to try and picture more of them on the nail right now. Magically Mint is gorgeous! I like how soft it looks. These are both gorgeous! 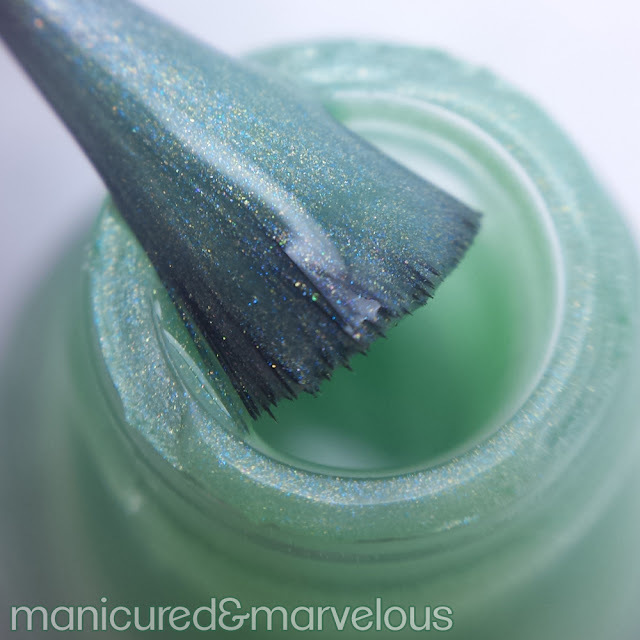 I love the contrast of the glitter topper over the green, but that shimmer in Magically Mint is to die for! oh wow, I love this for the st. patty's day parade we attend! So fun! Such lovely colours, I love them. Can I please just tell you though, as an Irish person we really hate it when people call it 'St. Patty's Day'. It's not Patty it's PADDY's Day!!! The nickname for Patrick is Paddy. Magically Mint is really pretty, I love light mint colors. Green is my favorite color, so Magically Mint is right up my alley. I can't believe I haven't painted my nails green ever. Love green polish so these ars right up my alley. Lovely swatches! My daughter loves decorating her nails like this. I am sure she will like this. This is such a lovely shade of green! Maybe I could pull it off on my toes in the spring! Those are gorgeous nails! I love the one with floating charms! St. Patties Day isn't just a great holiday, it's also my birthday! I'm always loooking for fun ways to celebrate.